We in association with our team of engineers and designers developed a cutting age technology for Fog Canon and offers different types of Fog Canon. Fog cannon can operates with different principles and mechanisms. One of types is purely mechanically driven system with electrical motor inputs, here in also we can offer different type of system with different basic principles for operation of the fog canon. while, mechanical one can be prone to maintenance during it life time, we also offer other cutting age technology, which is trouble free system, with bare occasional maintenance. Fog canon is widely used in India and overseas for suppression of flying dust on various application, It is a rugged and very efficient system. Unlike other types of dust suppression, it efficiency is very high. In some of applications only and only Fog canon is very successful, particularly when it is an open area. Fog canon is normally mounted on a trolley and it can be moved from one location to other location as it is on wheels. 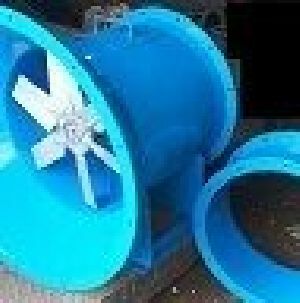 It is namely used for suppression of the flying dust very efficiently from a distance and also covers a very wide area. It throws the mist at a distance It is widely used in irrigation and industrial purpose. In industrial application, most widely used application is Stock yard Area, Dirty mines, Tripper/Truck unloading in mines and ground hopper, wagon trippers, Reclaimer hoppers, any locations where dust is flying and open too. In open area, only and only Fog canon is used widely, as other methods of catching dust fails poorly on this fronts. In industrial applications, where overuse of water can be issue, at such locations, Fog canon will be more useful and are more suitable for dust suppression than sprinklers in general. In agriculture, normally it is used for irrigation purpose. Even during building breakings, ship breakings etc it is also used widely. In fixed type, Fog canon will suppress the dust in single direction, while in Rotating type, it can rotate and suppress the dust in different directions. Fog canon rotate around on its axis by 90 deg, 180 deg or up to 330 Deg. as per client requirement, we individually design and manufacture the fog canon. Rotation of Fog canon helps in suppression of dust in almost all the direction around its axis inside the diametrical circle falling in its range. We supply Fog canon for a throw away range up to, 35m, 50m, 70m, and 100m.